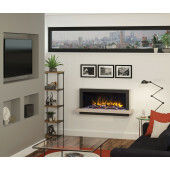 Electric Fires There are 81 products. 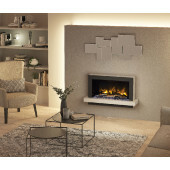 At www.TheGasCompany.ie, within our Electric Fires for fireplaces category you will find a range of all types of electric fires for fit into standard fireplace installation . What are Electric Inset Basket Fires ? Electric Inset Basket Fires give that finished look to the opening in your fireplace and add the lovely flame effect feeling that a real fire can give. 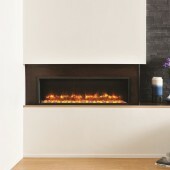 Electric Fire Dimplex Optiflame Horton HTN20 Inset 2Kw Coal Effect. 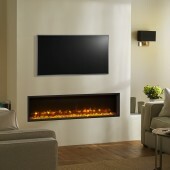 Electric Fire EKO ELECTRIC LED108 2Kw Coal or Pebble Effect electric fire. (Choice of colours).